Riley Blake Designs has brought a childhood favorite on to high quality cotton fabric for all of our little people to enjoy. 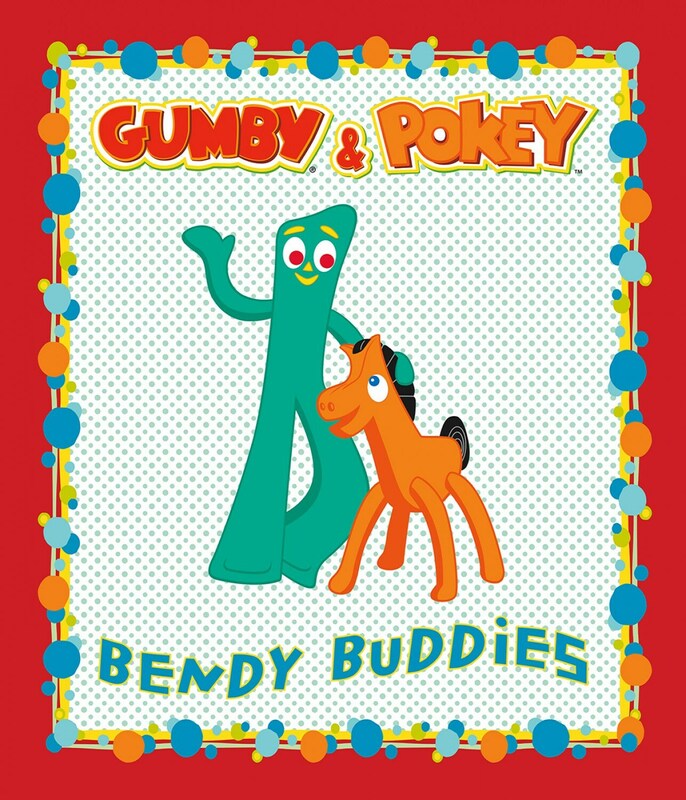 Gumby and Pokey ride again with bright colors of red, blue, green, yellow, orange and white. A fun panel measuring 36 x 44 inches. Gumby measures approximately 20 inches in height and his pal Pokey measures approximately 14 1/2 inches in height. A great cloth panel for any person young and old.